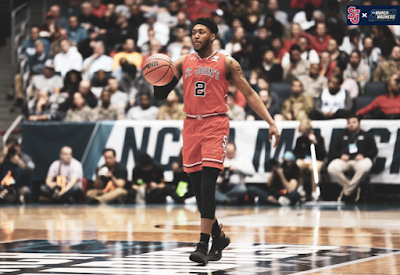 The St. John's Red Storm were the last name announced for the NCAA Tournament on Sunday night, and they were one of the first to exit as they played listlessly in a 74-65 loss to Arizona State on Wednesday night in Dayton, Ohio. Arizona State dominated this one early, as they raced out to a 24-10 lead halfway through the first half, led by as many as 18, at 33-15, and 38-25 at halftime. The Sun Devils kept it going in the second half, as they maintained a 10-12 point edge. St. John's did hang around, as they got as close as 7, at 62-55, on a Shamorie Ponds three-pointer with 3:59 left. St. John's Head Coach Chris Mullin said they were bad "Across the board." He added, "We had turnovers, uncharacteristic turnovers. And then I think we shot what 31 percent. It was layups, free throws. It was everything. So it was probably one of our worst games of the season overall. "But I'll tell you what, I told the team, it was a really fun team to coach. It wasn't the most consistent, but they were really, really good guys to coach. I really appreciate their work ethic and the way they showed up each day, whether we had a really bad loss or a good win. So I appreciate them. "And gotta give Arizona State a lot of credit, and congratulations to Bobby Hurley and Arizona State. I think they played a good game. Pretty sloppy both ways, 21 turnovers, 16 turnovers. Yes, we just really couldn't get anything going. Even when we got a little spurt, we had a two on one, and then we had a dunk and things like that. We just couldn't put anything together." St. John's was held to 31.9 percent (22-69) shooting, and 25.8 percent (8-31) from three-point range. Ponds led St. John's with 25 points on 8-20 shooting, including 4-12 on three-pointers, with 4 assists, 3 steals, and 2 rebounds. On what went wrong for the Red Storm in this one, Ponds said, "We just didn't hit shots. We didn't shoot it well. I felt like we was playing good defensively down the stretch but we just couldn't hit a shot." Ponds said of how digging a deficit early, which was as much as 18 points, affected the rest of the game, "I mean, it definitely has an impact. But with this group, we always been down big. Coach kind of compared it to the Villanova game when we got down big at the half, cut it back. We did the same, but we just couldn't get over the hump." Justin Simon, who had 10 points (3-9 FG), 7 rebounds, 3 assists, and 3 steals, said of what he would attribute this loss to, "What Shamorie said, I felt like we were fighting back, we couldn't get over the hump. Something would happen, a turnover or a missed box-out or a foul or something like that. And we really couldn't hit shots. We couldn't really hit shots throughout the whole game to get our rhythm." LJ Figueroa had his usually consistent performance, with 19 points (8-16 FG, 3-5 threes), with 10 rebounds for a double-double, and 2 steals. Arizona State was led by Luguentz Dort, who had 21 points on 6-11 FG, including 1-4 on three-points, 4 rebounds, 2 assists, and 2 steals. Zylan Cheatham had a double-double with 14 points (3-11 FG, 7-10 free throws) and 10 rebounds to give him a double-double, and he added an assist and a block. 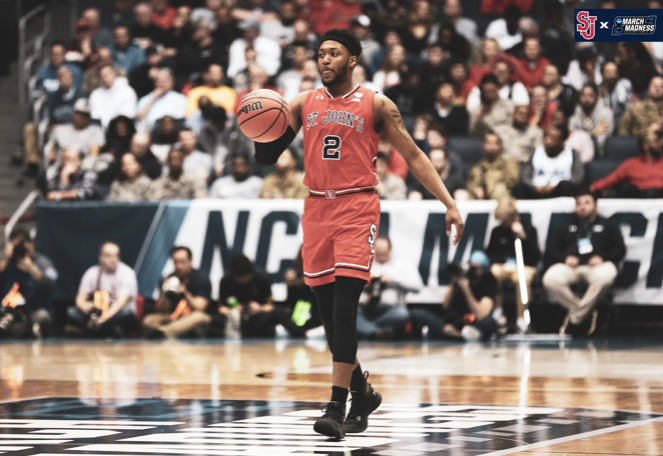 Ponds, who made the All-Big East First Team, was asked about returning next season, his senior year, or whether he'll go to the NBA, said if he knows what he'll do, "No." When he was asked "Could you see yourself coming back for another year? ", he said, "No comment."